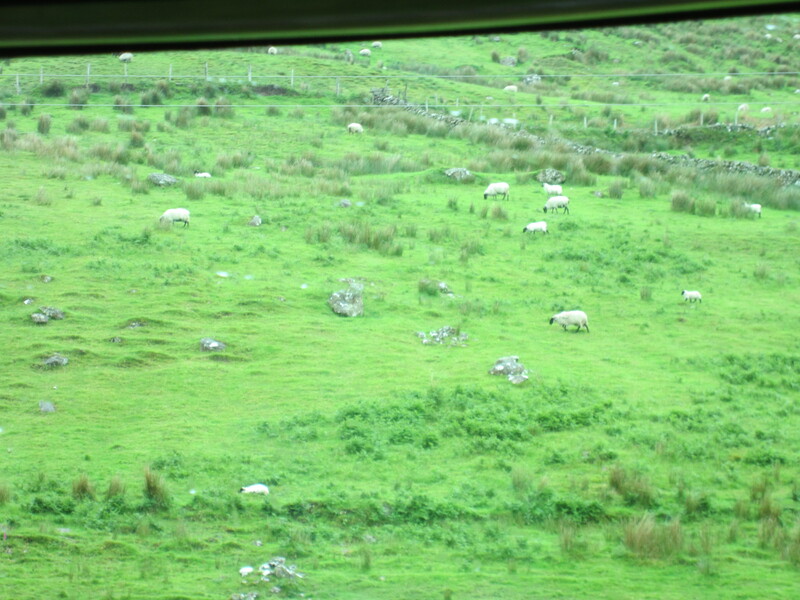 Here a sheep, there a sheep, everywhere a sheep sheep. So, a couple weeks ago I had the sudden realization that in order to do everything I wanted to do while here in Ireland, I had to get a move on. Although I am here for 6 weeks, 5 out of 7 days of the week I am working 9-5. And everything closes before I get off work. So for the past two weekends, I have been going going going every second of the day. I’ve done three day tours, gone shopping (multiple times), sang karaoke, ate out, drank in a variety of bars, gone to see live Irish dancing and music at the Arlington hotel, and somehow managed to secure a spot as a potential extra on Anthony Bourdain’s show The Layover. Phew. So to avoid writing the longest post of my life, I’ll be breaking everything down into smaller entries. 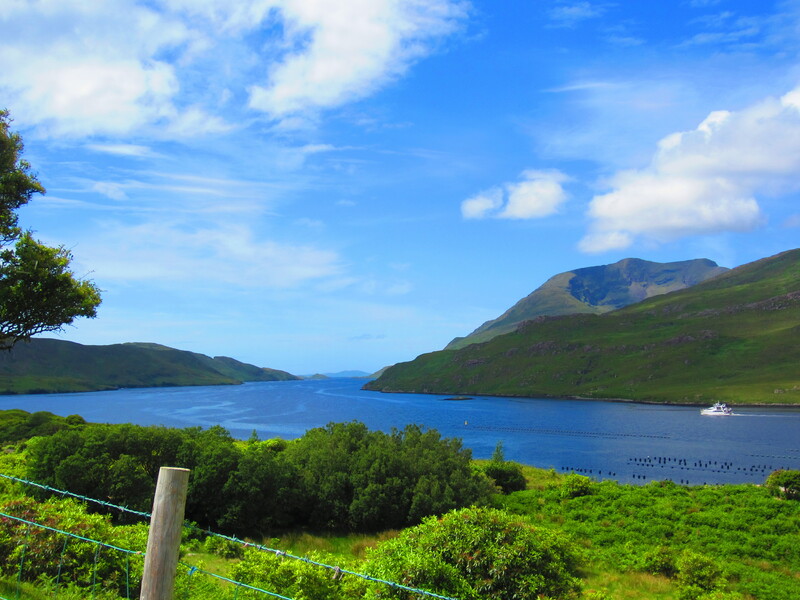 Today we tackle Connemara and Anthony Bourdain. 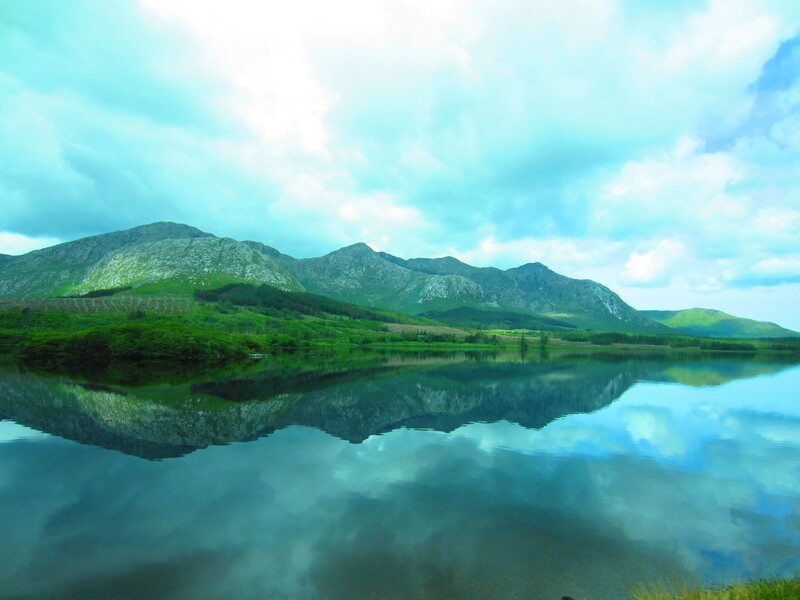 The first day-tour I took was a solo trip to Connemara in Western Ireland. I can sum the trip up in two words: exhausting and absolutely beautiful (okay, three. not counting the “and”). 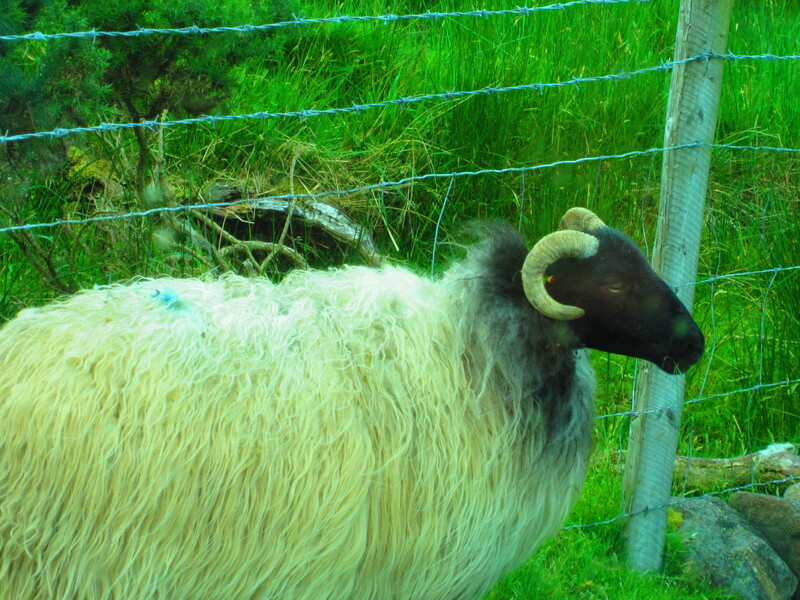 Alternatively, sheep-y and green. The trip itself was like 14 hours long, 10 of which were spent sitting on a bus. 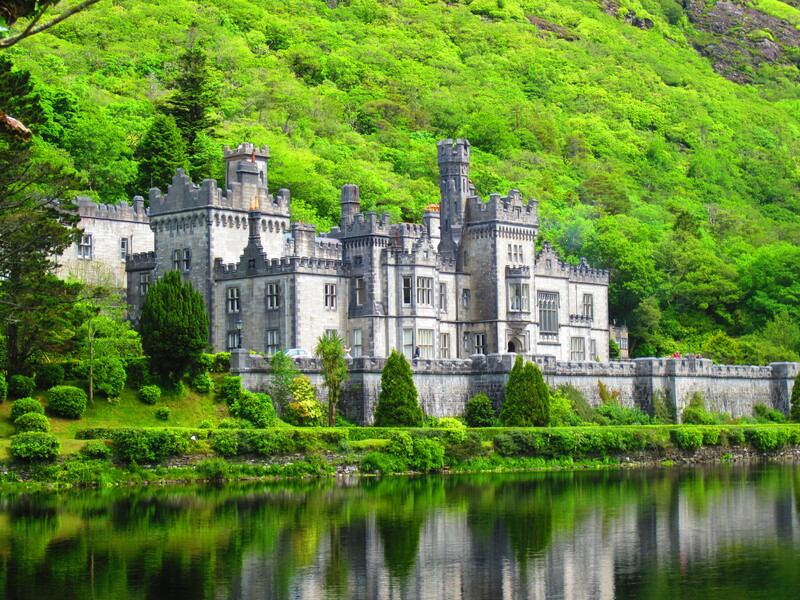 We drove to Galway, switched busses, then spent 2 hours at the gorgeous Kylemore Abbey, a residence turned boarding school for girls turned nunnery. 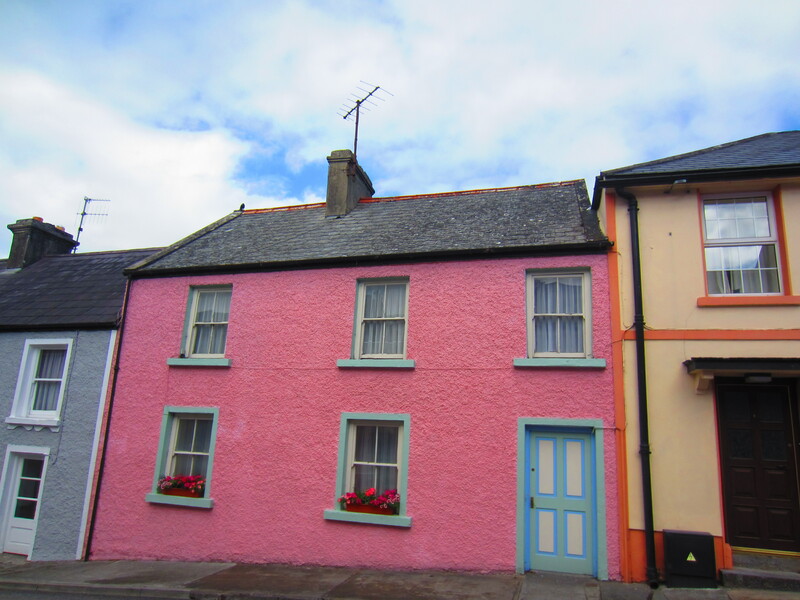 The rest of the time was spent making small stops– to take pictures of the scenery, to visit some stuff from the movie Quiet Man (I myself did not see this movie. 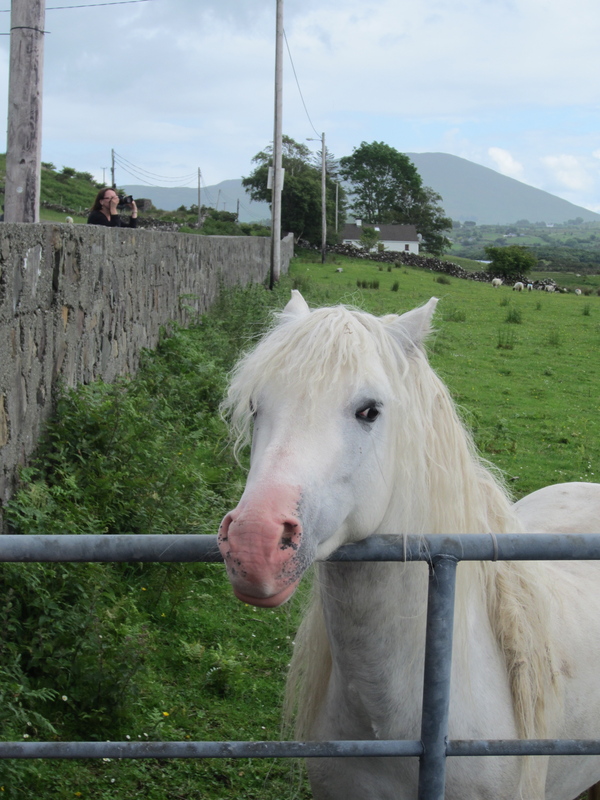 However, the old people seemed to like this part of the trip), to visit Cong Village, and to feed a random pony. Famine Walls in the countryside. 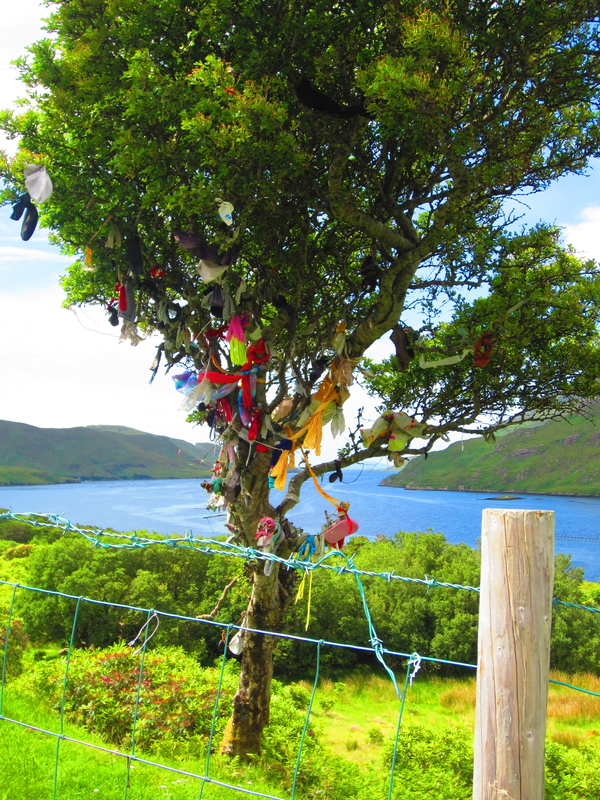 Hillary was at the Killary Fjord! Random pony. He enjoyed apples and tried to bite one of the tourists. Lots and lots of these. 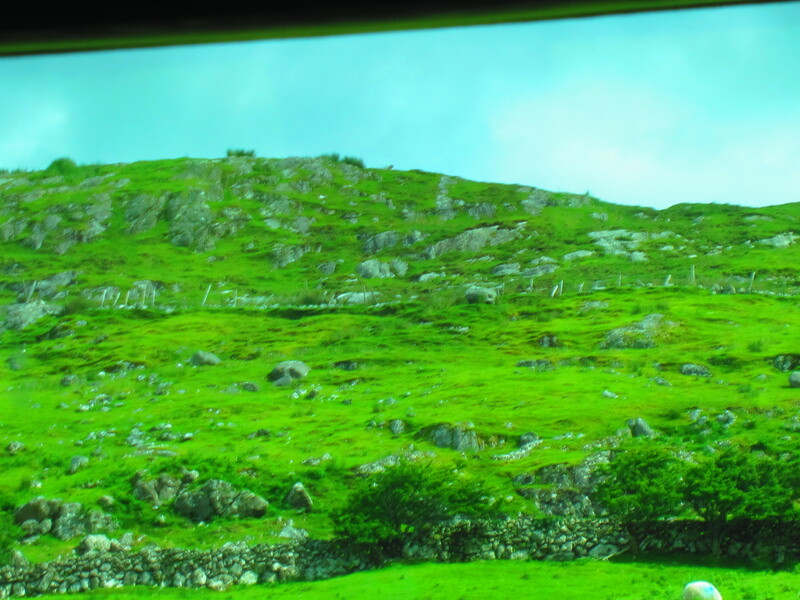 We then returned to Galway and took a packed bus (actually another bus because they overbooked the first one) back to Dublin. 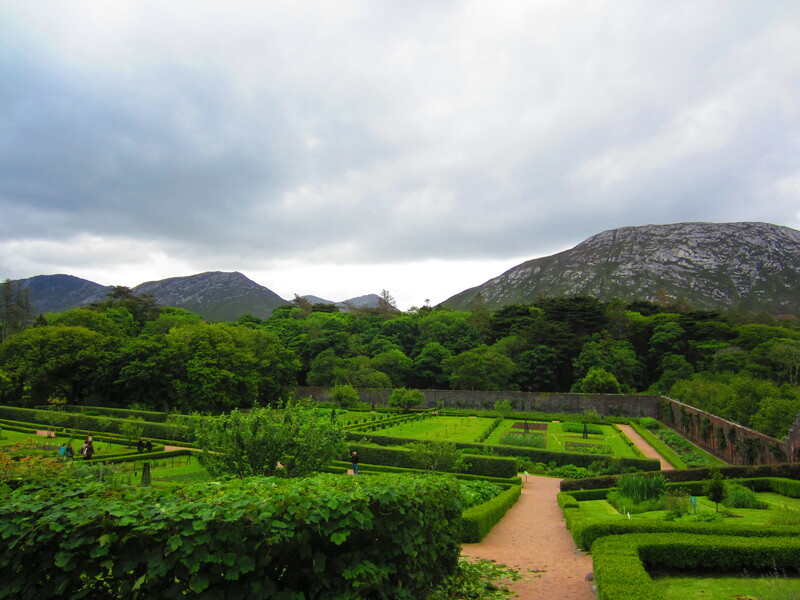 Although it was a long day, the lush, green scenery alone made up for it. Guess the constant rain has its benefits after all. This is the part where I would have told you about Anthony Bourdain. But it’s my bedtime, I have work tomorrow, and I forgot to download Anthony Bourdain-related pictures, so I will hold off on that until tomorrow. CLIFFHANGER!!!! 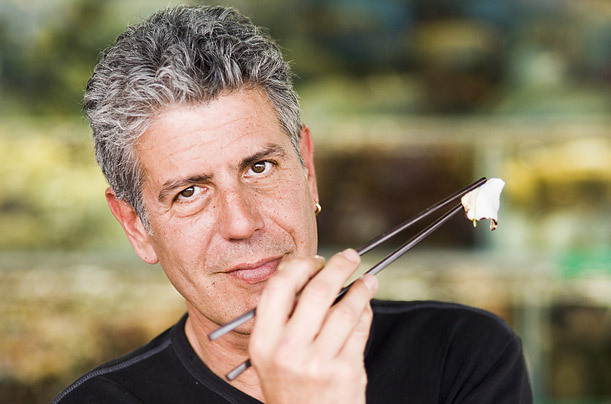 Anthony Bourdain with chopsticks….and a leaf? WHO ALL SEEN DA LEPRECHAUN SAY YEAH!! 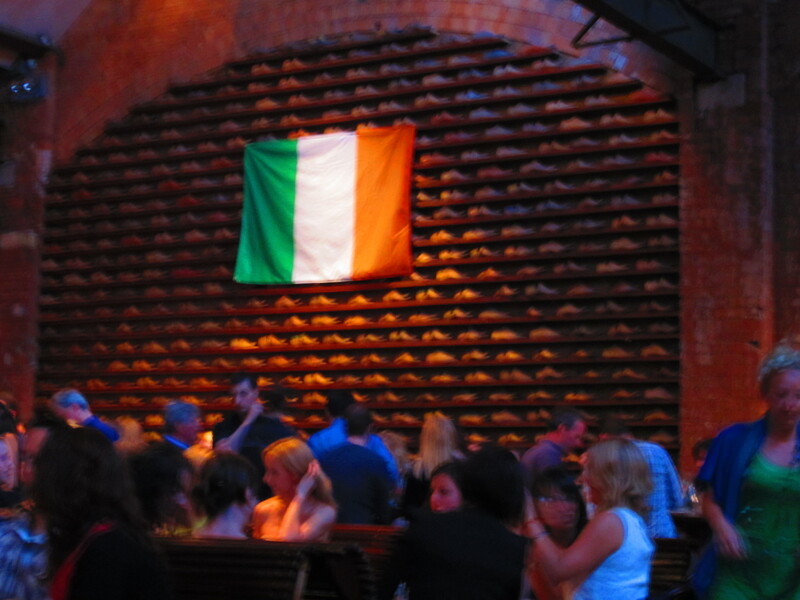 I don’t speak Irish, and other tales of living in a foreign country. Alone. First, I’d like to apologize for waiting over a week to post anything whatsoever about Dublin. I’m sure all (five) of my avid followers were gutted that they’ve heard nothing from me. To repay their devotion, I will now ramble unrestrained until I fall asleep or my attention span wanes. (Spoiler alert: It will be the second event). Let’s just say the first week was rough but I made it through and I’m having fun. After a very toasty flight from JFK to Ireland, I landed, took an expensive cab to my apartment on Buckingham Street and attempted to settle in. That’s where the trouble began. The problem was that I had to find 6 weeks of furnished housing within my budget sight unseen. I did the best I could, and thought Buckingham would be a swell place. It was not, in fact, a swell place. First, the man renting the place to me was the creepiest person hands down I have ever met in my life. Bonus: he lived in the building and had a key to my room. He was very strange-acting, and whenever he came to my room, to sign a lease, or to answer my questions he would shut the door behind him. I am literally getting the heebie jeebies now as I think about it. He didn’t do anything, but he made me very, very uncomfortable. On top of that, I was promised wireless internet. The wireless signal was either broken or too weak because it did not work at all. To remedy this, Creepy McCreepster suggested I use the Ethernet cable. It didn’t work. When I asked him for help, he claimed it was my Mac’s fault and maybe they don’t work in Europe. I assured him they did work in Europe, as I had lived in Copenhagen for months. He didn’t believe me, took an accusatory tone, and did nothing to remedy the problem. So I was in effect isolated for 2 days, as I had no way of contacting anyone without huge charges on my cell phone bill. On Sunday I went to the city center to find an Internet cafe. I walked there and all the way back. I was happy with myself for being proactive and figuring my way around the city. As I turned suddenly and put my key in my front door, I heard something close by. Two guys were standing about 20 ft away and were whispering furtively to each other. No one else was around (keep in mind I was also coming from an internet cafe and had my laptop on me). I looked at them. They looked at me. I had a bad feeling about them, so I stepped back and stared hard. When they realized I was scoping them out, they ran into an alley where I couldn’t see them. That was the last straw. I hadn’t slept, ate, or had contact with anyone for 2 days, and I was pretty sure I just missed having my laptop, passport, iPhone, and camera stolen. I wanted out. I had noticed a bed and breakfast that was more expensive but still within my price range so I called them and made sure they still had a room. They did. Unfortunately, I had already paid cash upfront to Creepy for 4 weeks. After paying me another creepy visit and demanding I tell him why I wanted to move, he agreed to give me some money back, although he did it after commenting, “Well you weren’t assaulted.” Yes, I know I wasn’t assaulted thank GOD. But I’m not sticking around so I can eventually be assaulted, whether it’s by you or some random dudes in the street. Thanks but no thanks, Creepster. Honestly I didn’t care what he gave me back as long as I got out of that hellhole. After what seemed like ages, I got a cab and got the heck out of there. My cab driver told me even he wouldn’t walk around there alone (he was a strapping 20-something Polish guy). Upon arriving at the B&B, I felt immediately better. 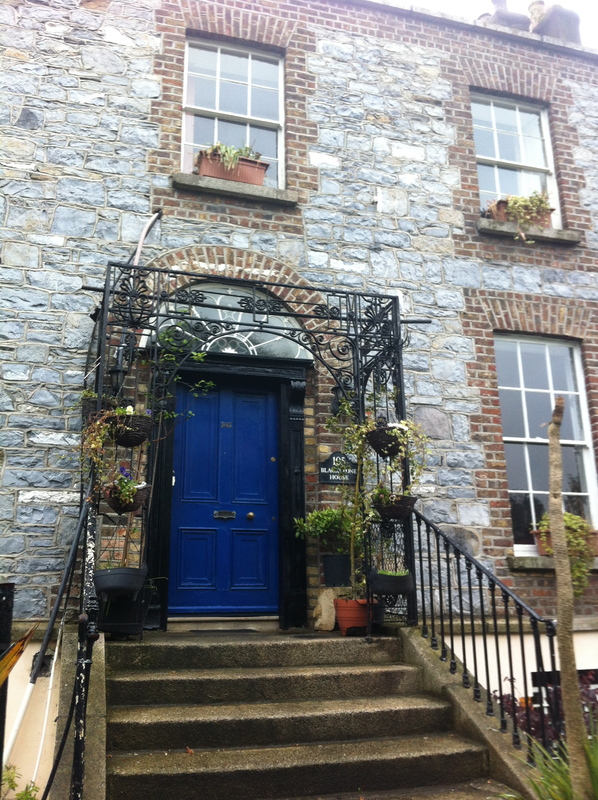 It’s an adorably shabby chic Victorian house that I could see right at home in the English countryside. My room is big, and the owners are a very sweet couple. My 40-minute walk to work is safe, and a good work-out, since I essentially walk 5 miles a day. I have also learned to take the bus for the very-frequent rainy days. All things aside, moving to another country by yourself is hard. Unlike in Copenhagen, where everything was planned for and we had help every step of the way, I had nothing in Ireland, except a sorority sister who has been wonderful. I found my own housing, got to work by myself, and had to figure out public transportation and grocery shopping by myself. But I did it. The first week was hard, plus I worked 9-5 every day. And I had terrible sleep deprivation, partially from jet lag, partially from stress. But I made it through, and things are looking brighter. This weekend I went to the fabulous mall in Dundrum with my sorority sister Lauren to see Snow White and the Huntsman. 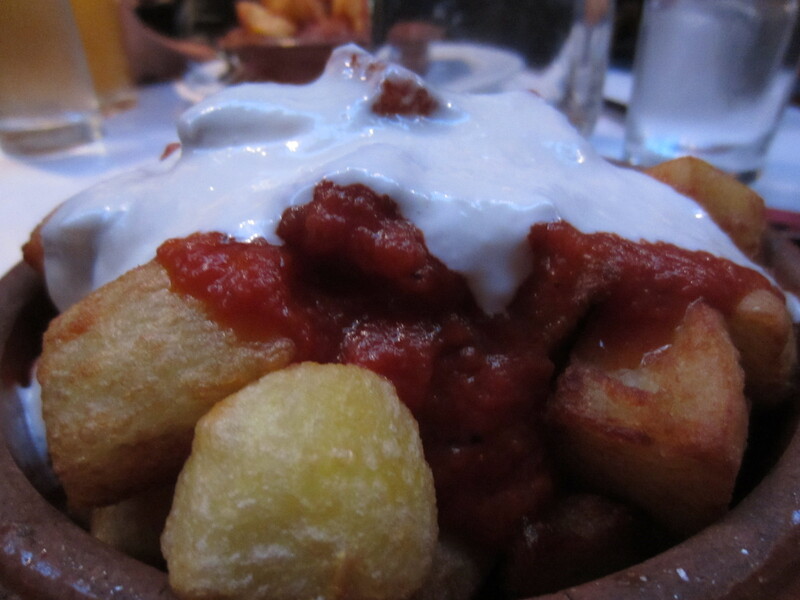 After that, we went to Market Bar where I had my first official Irish Guinness and delicious potatoes. After visiting some other bars, I went home, happy I had finally socialized with someone. Sunday I went with Lauren and some of her German coworkers to watch the Ireland/Croatia match in a pub. 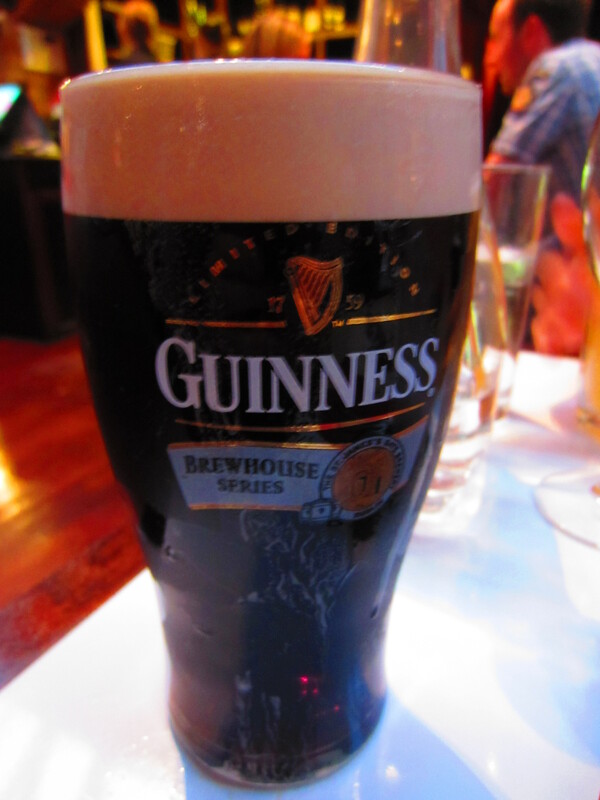 Some more Guinness plus soccer made me feel like I was really in Europe. I’m looking forward to more sightseeing in the weeks to come. 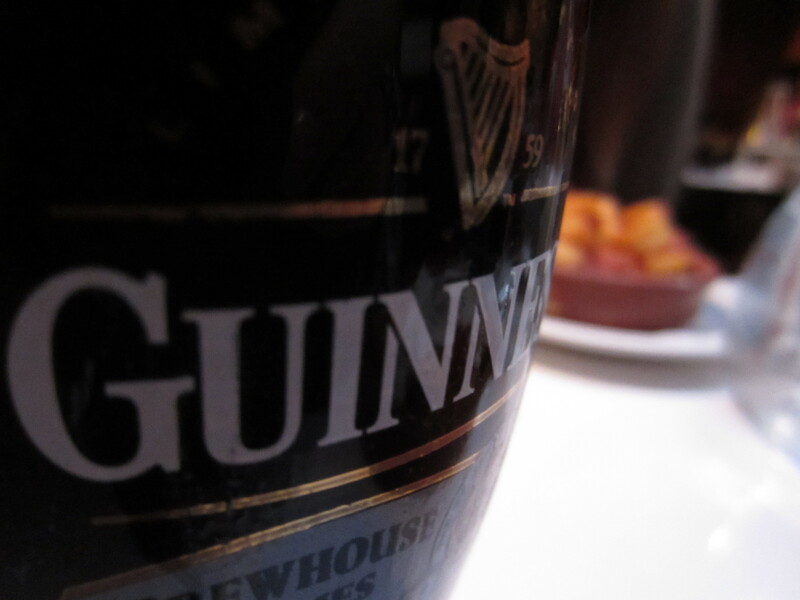 Another flattering angle of my FIRST OFFICIAL GUINNESS in Ireland! As far as work, I am basically drafting the Irish Restatement as a part of the Law Reform Commission of Ireland. We do it act by act, so I (with the help of some of my coworkers who have been nice enough to check my work) have been working on the Dumping at Sea Act of 1996. In order to do this, I search for all documents that affect the Act, and rewrite the Act so these amending provisions are included. Pretty interesting stuff. Plus, all of my coworkers have been very nice and helpful. All in all, it’s been a long week. But I’m settled in, and am really looking forward to the coming weeks. I’ve starting making sightseeing plans with different people so expect more pictures! -I will be attending an official reception at the Áras an Uachtaráin, basically the White House of Ireland, and will be meeting the Irish President and First Lady July 5th. -Irish is a language that is not English. 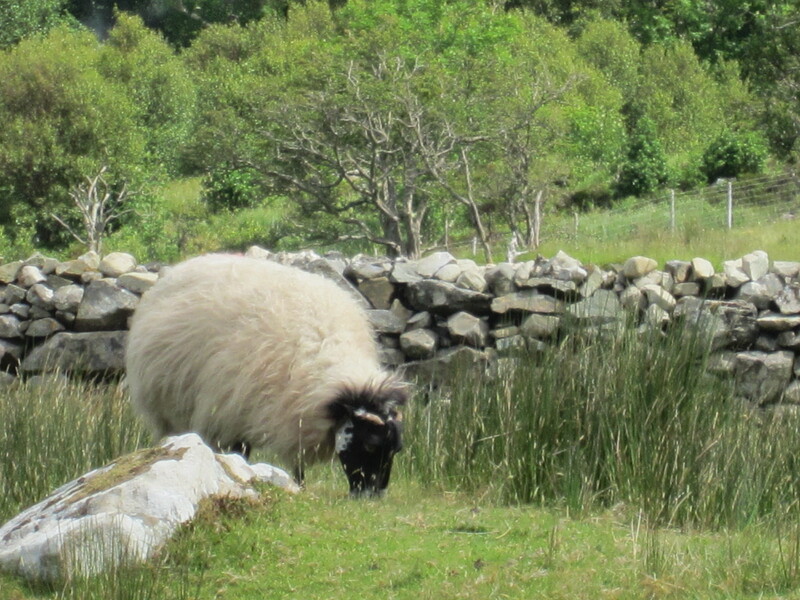 Most Irish people speak English, but Irish itself is a whole other animal. Hence the word in the sentence above. -When you come to a country that drives on the other side of the road, you should look both ways so a double decker bus doesn’t almost run over you and blare its horn so loud you are embarrassed for what feels like hours. That’s about it for now. Time for bed. That’s right I’m back. New European cities, new job, new me. T minus 3 days. Get excitedddddd! In the meantime, enjoy my impression of me on a plane when someone lowers their seat into my lap. 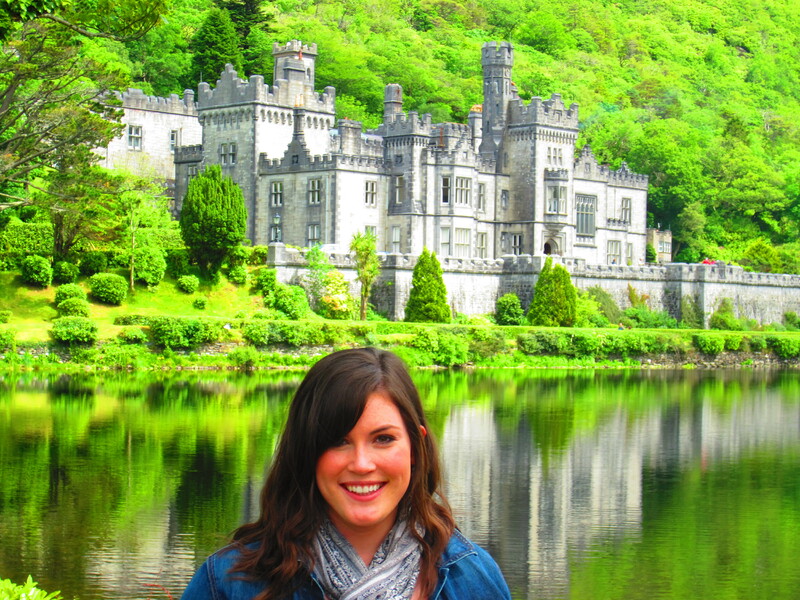 Guys, I want a castle.